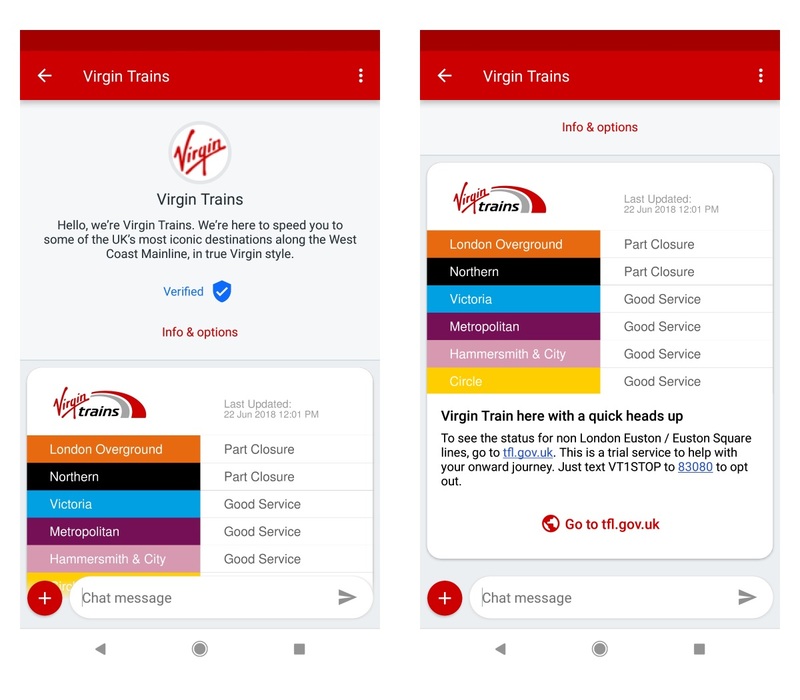 Virgin Trains has partnered with Vodafone and OpenMarket to become the first company in the UK to introduce RCS messaging as a communication channel. The format, hailed as the next evolution of SMS, enables users to send photos, videos, audio messages and more. The technology will initially be used by Virgin Trains to provide onward journey information to its London Euston-bound passengers. Around 10 minutes before they arrive into the station, passengers will be sent an RCS message that provides the latest updates on London Underground services. Customers can then tap a button within the message to access more detailed information from TfL. “Text messaging 2.0 has finally arrived,” said Jonathan Morgan, CEO of OpenMarket. “RCS is text messaging for the smartphone age, and it gives customers a richer, smarter, more app-like experience, all from their SMS inbox. Virgin Trains has a reputation for embracing the latest in technology trends. Earlier this year, the firm became the first transport company in the world to sell tickets through Amazon Alexa, and other tech innovations include introducing mobile ticketing across all routes, automatic repayment following delays, and its BEAM on-board entertainment portal. “We’re proud to not only be the first UK business to adopt this latest technology, but also the first transport company in the world to introduce RCS,” said John Sullivan, chief information officer at Virgin Trains. “We always strive to lead the way and with a proud record of digital innovation, we’re very excited to be investing in new technology that will transform the way we communication with our customers.